On a beautiful spring day in New Haven, the Bulldogs showed glimpses of excellent attacking rugby, scoring eight well worked tries. Next weekend, the Bulldogs will be taking on Fairfield in the Nemec Cup, which Fairfield pipped last season. Save the Date: April 6, 2019! The Yale Rugby Alumni weekend is officially scheduled for the weekend of April 6. 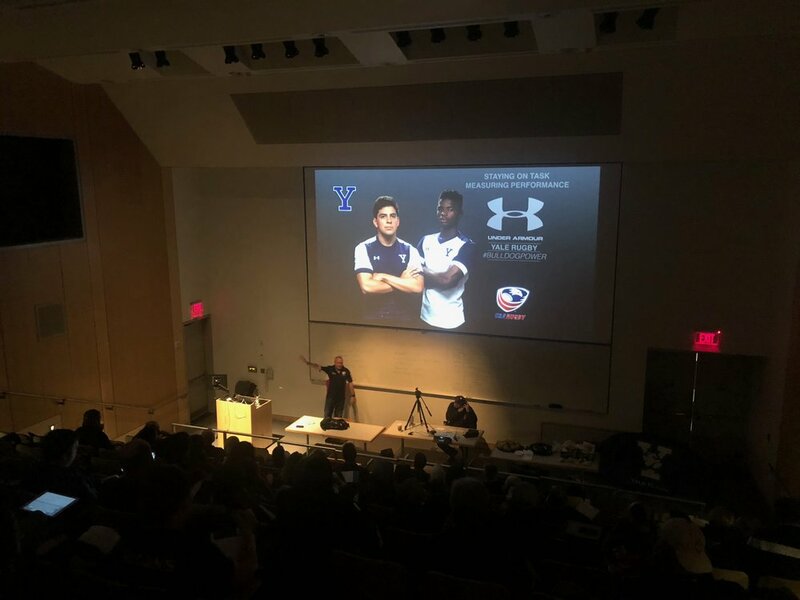 Please mark your calendars, and be sure to join us for a full weekend of Yale Rugby events! 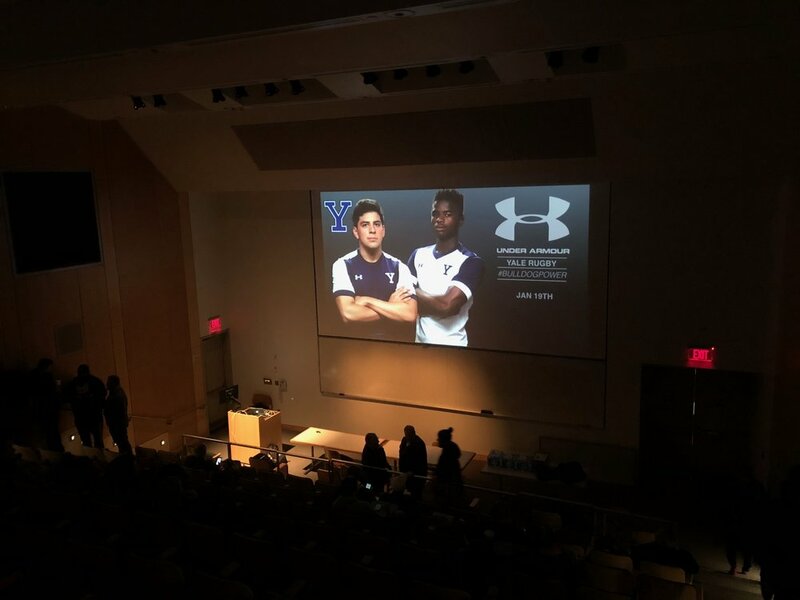 Once again, it is time to prepare for the year's finest and most worthy social event - The Yale Rugby Alumni Weekend, of course! Please be sure to save the date; more details to follow soon. We look forward to seeing you there! 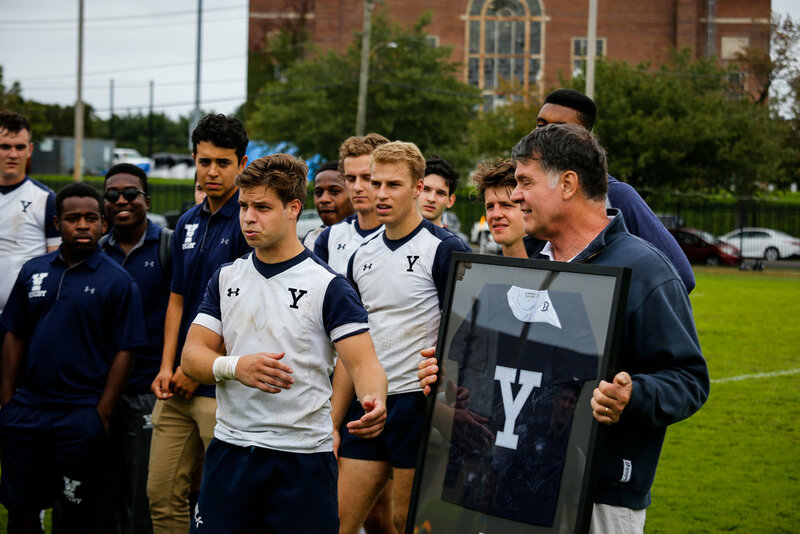 On Wednesday February 13, Yale Rugby lost former player Jim Dayton ’87 who passed away in his sleep completely without warning. Jim was a cross-over athlete from his first love hockey which he played at Yale for four years. He played rugby on the wing in his junior and senior years. 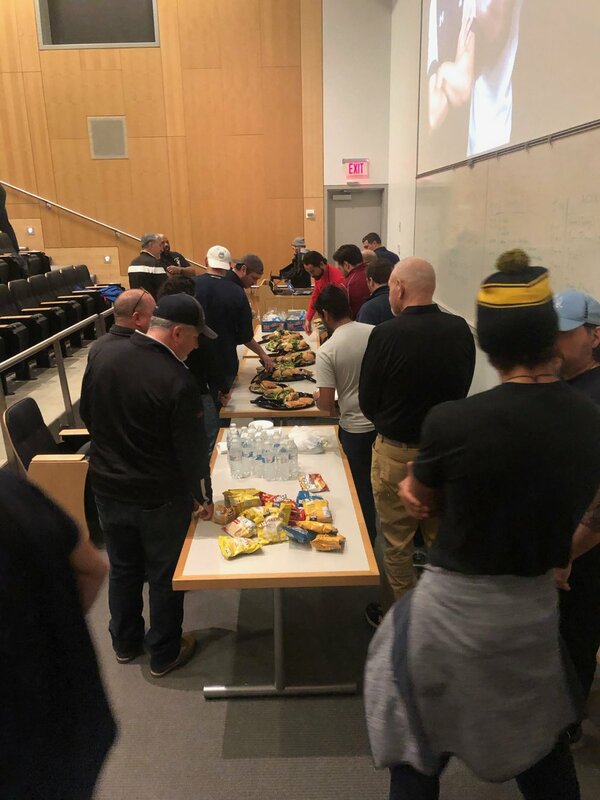 More recently, Jim has volunteered substantial time to Yale Rugby to help develop our long term plan for the club’s facilities. There is parking outside the surrounding areas of the Yale Architecture Building, 180 York Street (you will need to pay). However, there is free parking in the carpark behind the Payne Whitney Gym, 70 Tower P'way, New Haven, 06511. Please allow for an 11min walking commute. The workshop will begin at 10.00am sharp so allow time for parking / walking etc. There is a Willoughby's located right next to the building. Lunch will be provided - We will be serving subs from Zoe's restaurant. 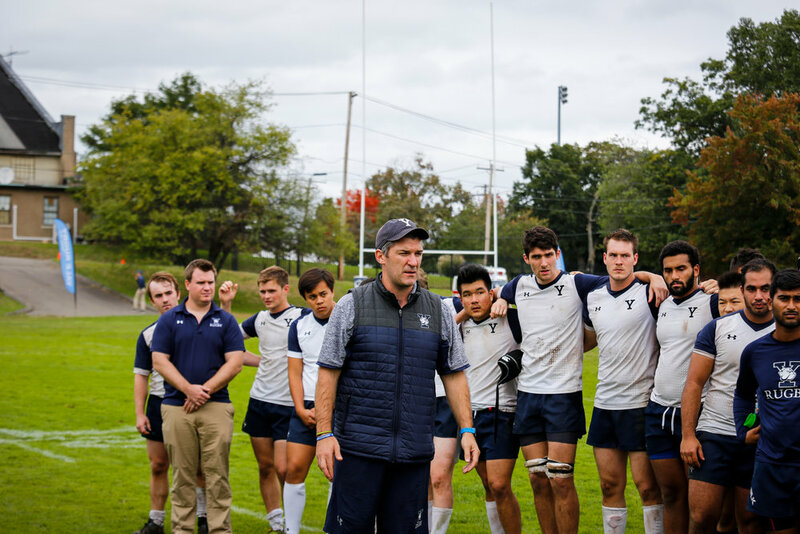 Yale RFC headed into today’s game against Harvard off the back of two tough losses against Brown and Dartmouth. 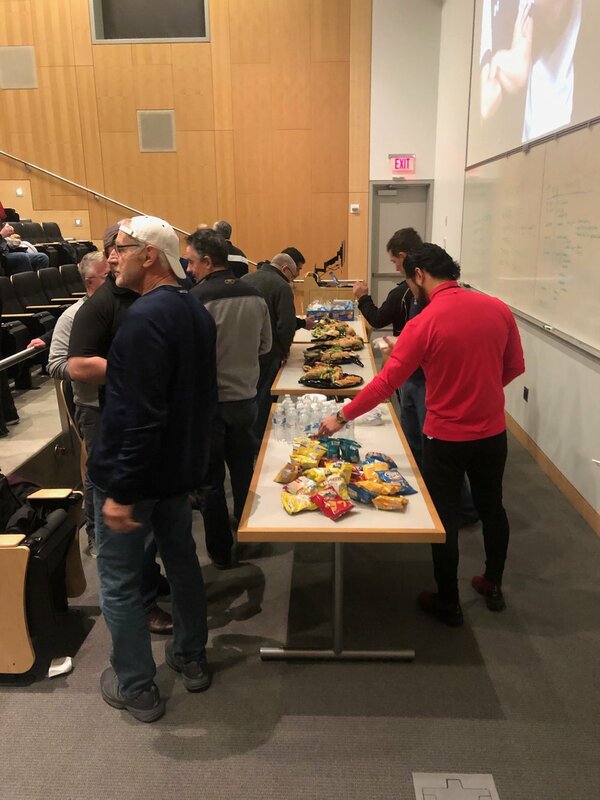 We knew this was an all-or-nothing affair and put in our hardest week of training of the semester in preparation. After a tough two-point loss in the Malcom Cormack Cup last year (named after the famous ex-Yale head Coach) we faced Harvard away with a spot in the Ivy League Playoffs Semi-finals and the Cup title at stake. We arrived focused on the challenge ahead and warmed up in torrential rain and 37mph winds. Starting the first half against the wind, we traded half-a-dozen kicks and staved off 10 minutes of constant attack from Harvard. 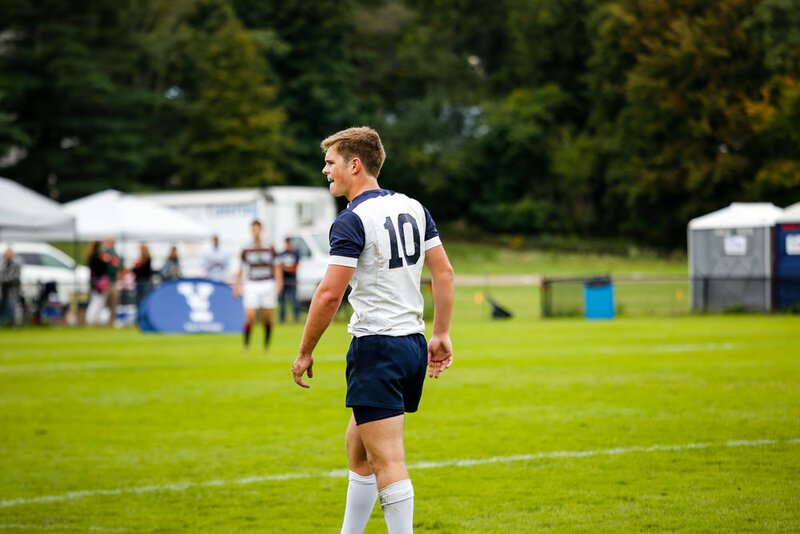 After forcing them deep into their own half it only took a few hard run phases for Captain Joe Goode ‘19 to nip around the ruck and score our first try of the game. Shortly after Ian Reid ‘19 scored the first of his three tries with Daniel Marsh ‘21’s conversion making it 12-0 to Yale. Before the half Reid put in another two and Bojan Dosljak trucked through the defence to make it 31-0. In the second half Harvard brought the fight but Yale saw them off for a well earned 31-15 win. The team will face Dartmouth away November 3rd @1PM in the semi-finals. 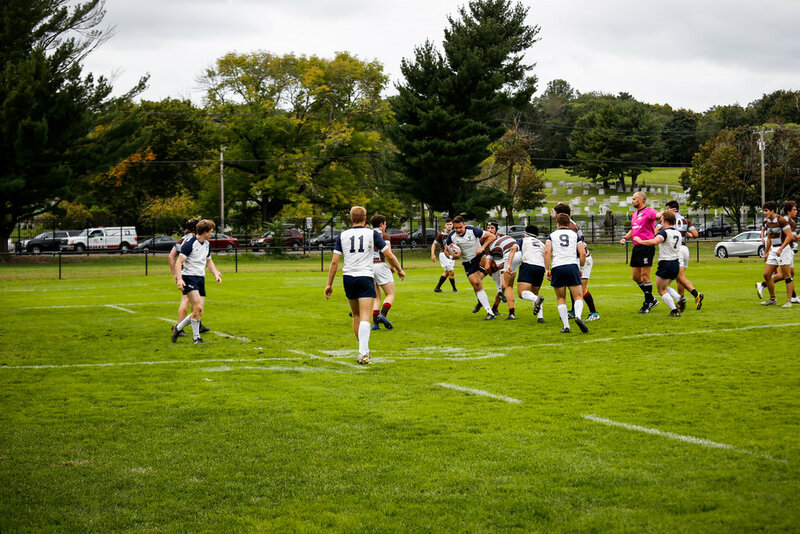 The Yale rugby team battled with Brown head-on in a pair of games during Family Weekend only to have its previous Ivy League winning streak broken by two losses to the Bears. The Elis were poised to win entering the weekend after their stunning conference victories over Cornell and Columbia the past two weekends. 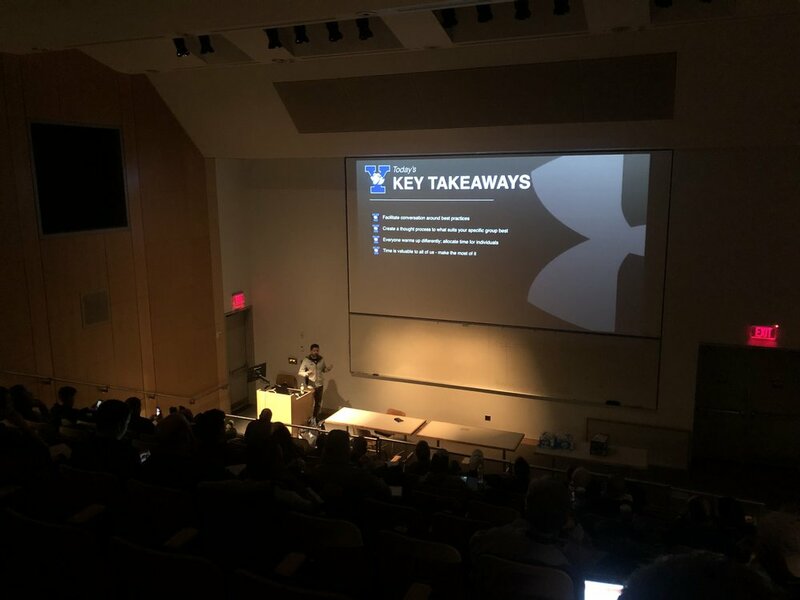 The team swept the floor with Cornell, boasting a 77-point difference, and achieved a 67-point win over Columbia, but its victorious streak was cut short as the Bears chewed up the Bulldogs. 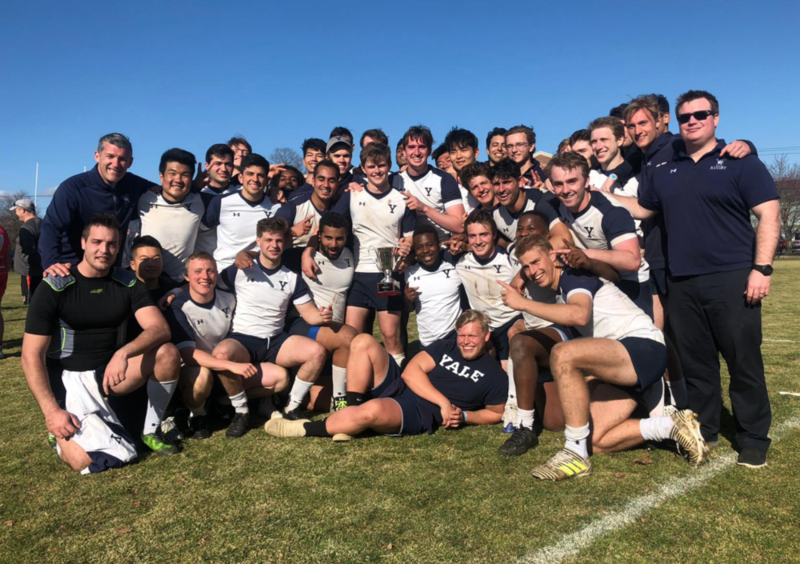 Despite its valiant effort, Yale’s two games ended unfavorably with scores of 32–12 in the first XV and 17–7 in the Development XV. Midway through the first half of the opening game Brown secured three points over Yale’s nil, with the Bears’ score edging up to five while the Yalies scored their first three points thanks to Mahlon Sorensen ’22. 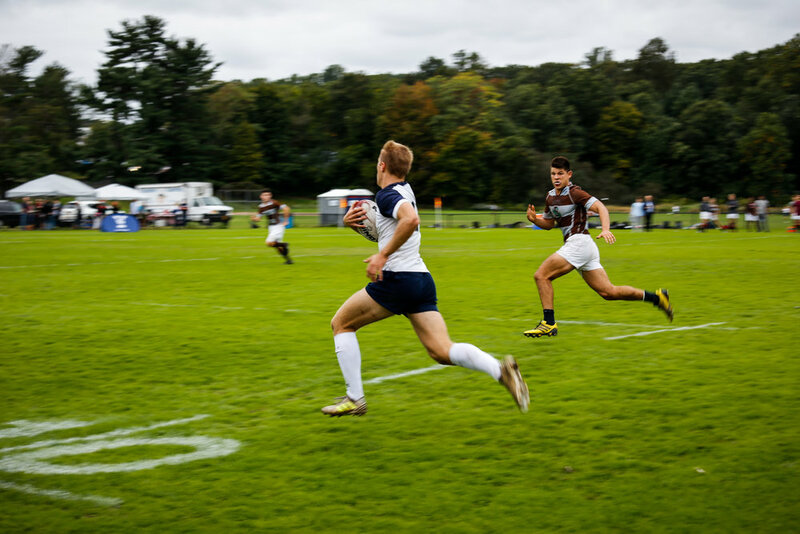 The first game, having reached halftime with a score of 8–5 Brown, still ended in defeat for the Elis even after player and photo editor for the News Lucas Holter ’21 added another seven points to the Bulldogs’ score. The Development XV ended with a smaller gap between the Elis and the Bears, but with a final 10-point difference nonetheless. 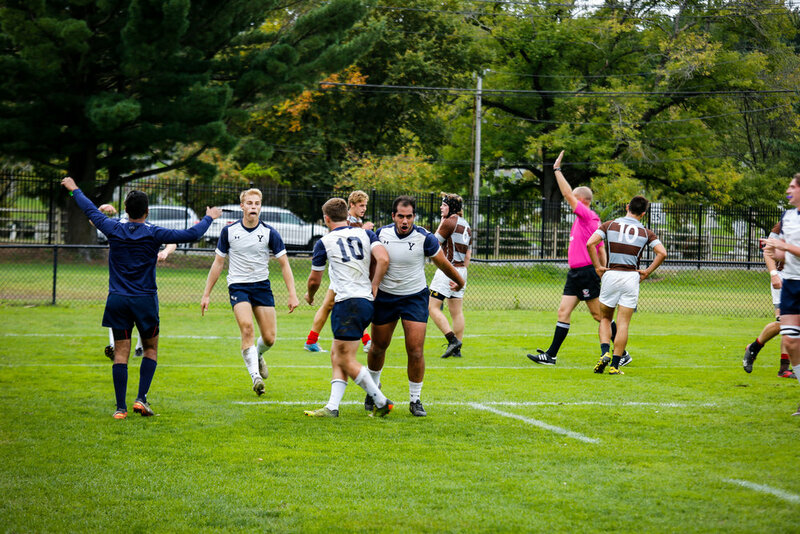 The game was particularly dicey during the first half, which ended at 17–0 in Brown’s favor, but captain Khaleel Rajwani ’20 scored to put the Elis on the scoreboard with a respectable seven points. Though both games ended in losses, the team is optimistic about its future performances. 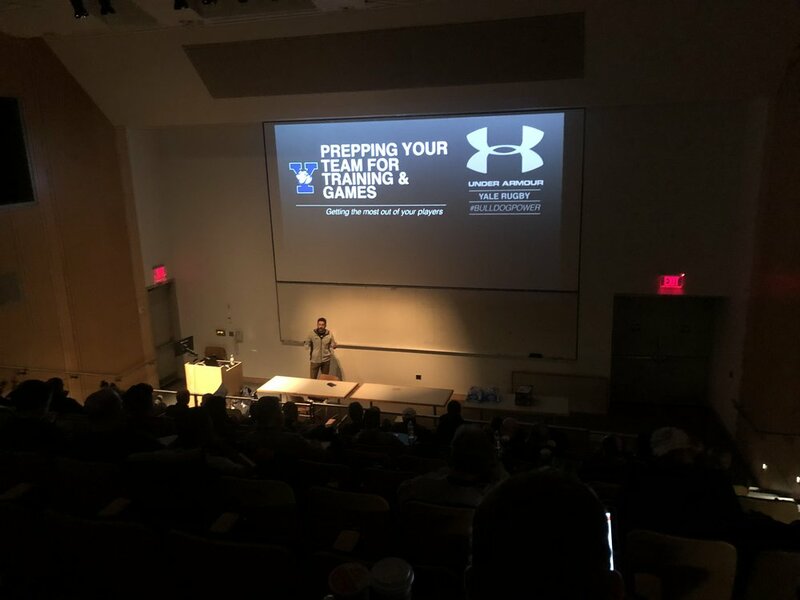 “We are excited to see what the team can achieve in the second half of the season after working so hard during our preseason and leading the conference after the first two games,” Holter said. 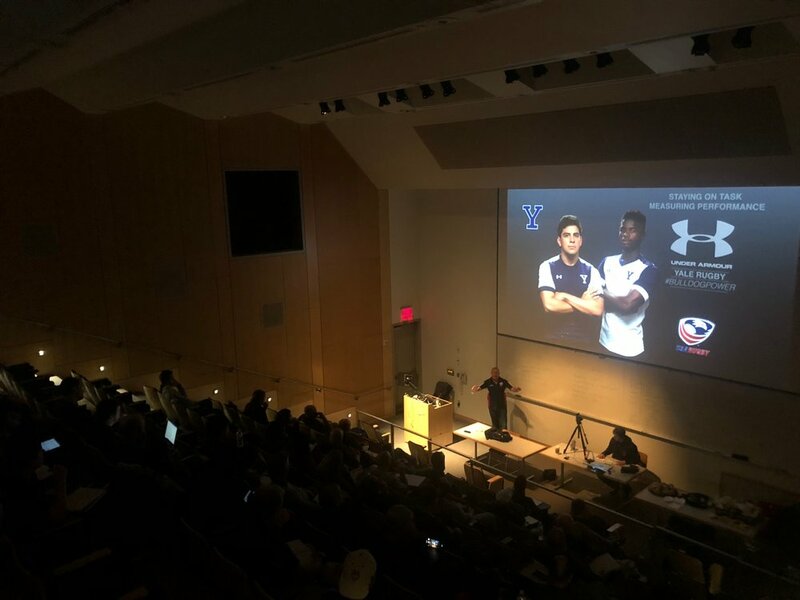 “Coming into the game against Brown, we knew we would be facing an experienced and skilled side,” Holter added as he noted Brown’s 2018 victory in the Ivy Rugby 7’s Tournament. Yale club rugby, established in 1875, last made its way to nationals in 1999. Team alumni include former U.S. President George W. Bush ’68 and Mark Nemec ’91, president of Fairfield University. The team’s titles include the 2004 Beast of the East Northeast Division I Champions and the 2005 New England Division II Champions. After Saturday’s matches the Elis are preparing for their next home tournament against Dartmouth on Oct. 13, followed by a match against Harvard for the away semifinals on Oct. 27. The finals will be held on Nov. 10. This year marks the 49th anniversary of the Ivy League Rugby Championship Tournament since its inception in 1969. 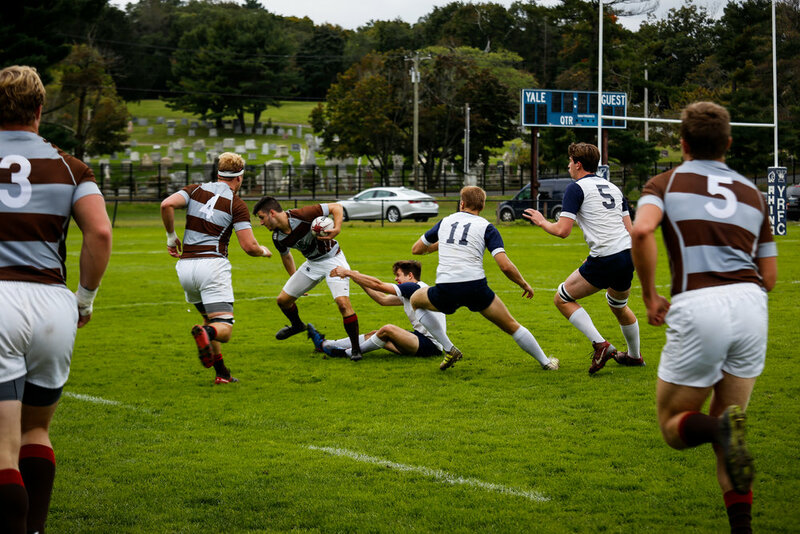 The men’s first team earned an impressive victory in their Ivy League home opener on Saturday, defeating a physical Columbia side 67-0. Columbia played well from the start and kept the game close leading into the second half. Their scrappy defense and hard runs forced the Bulldogs to sharpen their offensive shape and pillar defense as the game went on. Ultimately, the Yale defense held strong and kept the Lions from scoring. In all, it was an instructive and hard-fought victory for Yale. The Bulldogs will take on a strong Brown side at home next Saturday. Captian Khaleel Rajwani led the Yale Development Side 10s to a strong kick-off against the Columbia side. Freshman Center Boris Epie opened the scoring with his first ever try for the White and Blue, later breaking through for a second try later in the half. Two other rookies, Freshman Winger Elias Kalembo and Sophomore Forward Neehar Ghandi, scored their first points as Bulldogs. 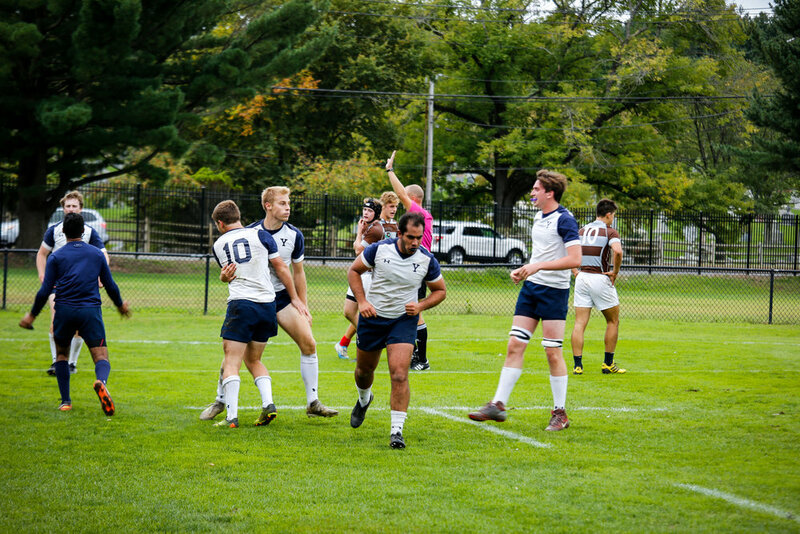 Led by Veteran Forward Josh Racine (1 Try), Markus Reneau (1 Try) and Rucking specialist Hank Loughlin, the Development side showed grit in a 38-10 victory. With Ryan Vollmer and Lucas Holter unavailable, The Bulldogs welcome back Junior Alex O Neill and provide a debut for freshman Syimyk Kyshtoobaev. it is great to welcome back senior Diego Sialer, who has been sidelined with an ankle injury since the Spring tour. Junior Mateo Beccar Varelo returns from injury to join the replacement bench. 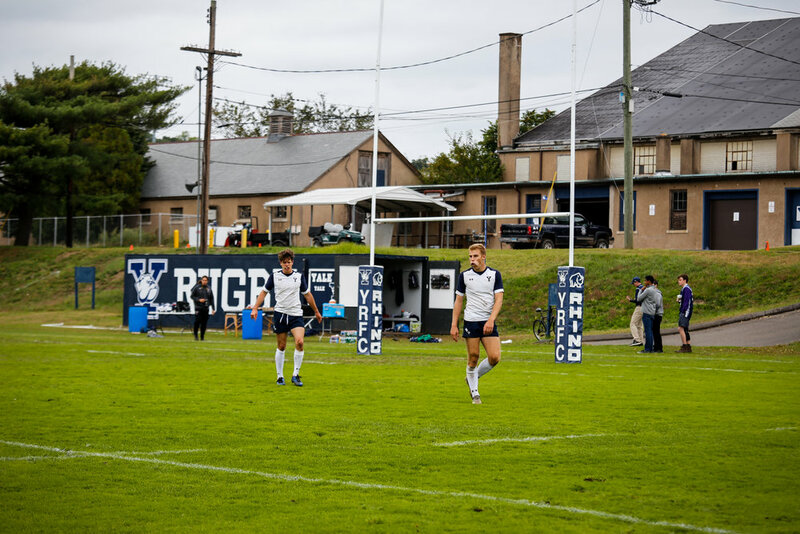 Join us for a fantastic day of rugby and more as Yale takes on Brown at home on October 6th 2018. We will have a tent at the pitch, complete with food and refreshments. All friends, family, alumni, and players from both Brown and Yale are welcome. We will also be honoring the family of Henry Wheeler, captain of the 1942 Yale squad that toured Bermuda and met with the Duke and Duchess of Windsor. Rugby, tradition, and friendship on a fall day at the pitch in New Haven. What more could you ask for? Hospitality tent opens at noon, matches start at 1:00!